It was a great day for a skate. Overcast and light winds. We pushed the wind heading south and it pushed us for the return. Some skaters turned around a Park Blvd and other at 113th Ave. The distances were 10 miles and 13 miles. One new skater, Jim H joined us. We had the following absent skaters and bikers return. 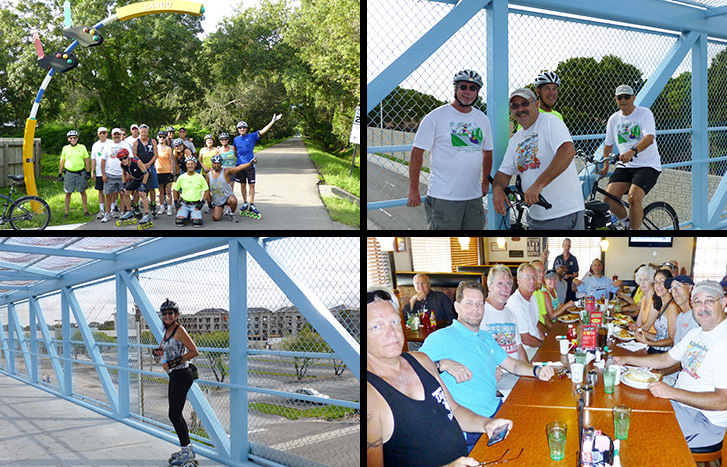 Debra W, Michael E, John J., Teresa and Chris V, Joe W. Seven skaters and 10 bikers participated today. Brunch was at the Savory restaurant in Largo. They had the table set up and waiting for us. We were in and out within an hour. Food was excellent as usual. Rob rated it as a 10.